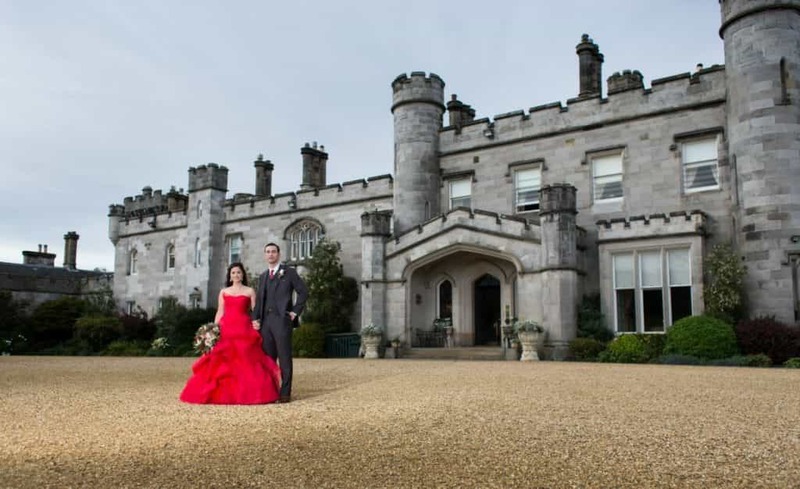 Dundas Castle is one of Scotland's most beautiful and historic castles, it is now an officially recognised 5 Star Exclusive Use venue. Built in 1818 by the renowned Scottish architect, William Burn. 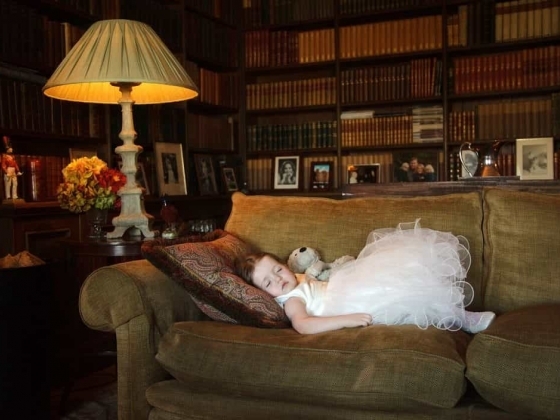 We have been hosting special weddings large and small, for many years and have everything you need for a day filled with moments that you will treasure. 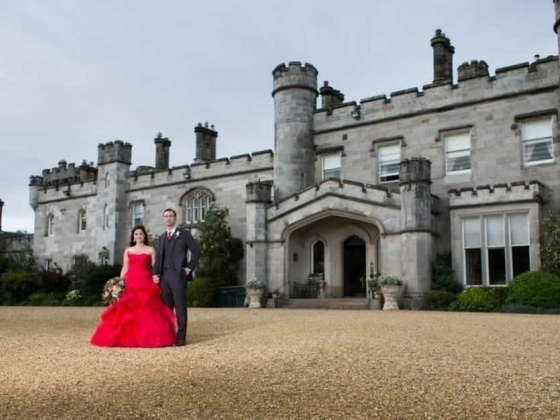 What can be more romantic than marrying in one of Scotland's most beautiful Castles, renowned for its magnificent and exquisite rooms and hallways. 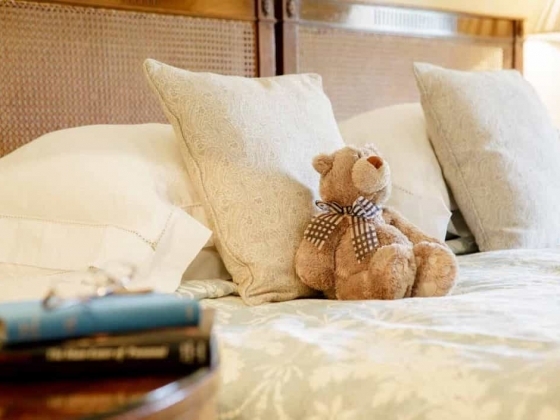 At any time of year Dundas Castle can provide the most romantic setting that you and your guests will never forget. You may choose to exchange your vows in the spring as a sea of daffodils cover the castle's 1000 acres of beautiful wood and parkland. 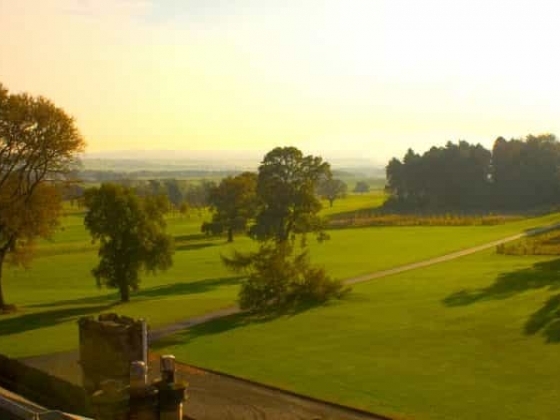 As the new leaves adorn the trees, you too can mark the start of your new lives together as you admire the magnificent views across the estate from the top of the Auld Keep. The estate comes alive in the summer months as the rhododendrons bloom. 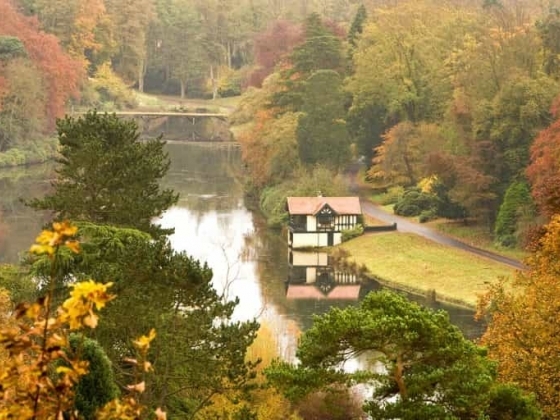 The 2-mile long drive is lined with a riot of colour while the manicured lawns provide the most spectacular backdrop for photographs. 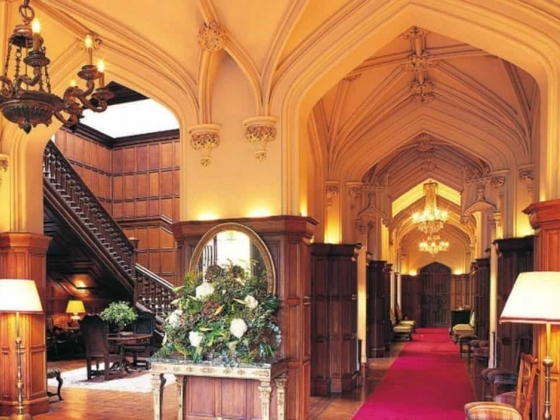 As the autumnal leaves fall and the nights draw in, there is nothing more romantic than making your way up the candle-lit fairytale winding staircase where your groom awaits to exchange vows with you. 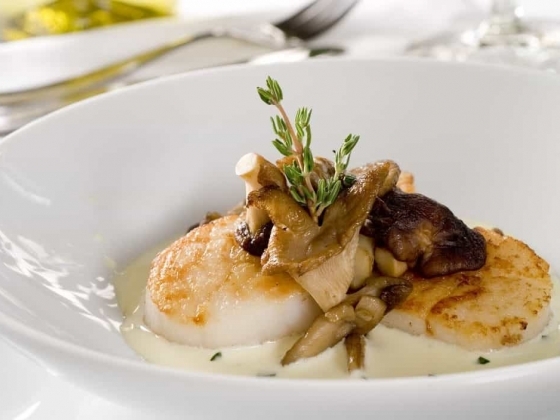 These memories will live with you and your guests forever. 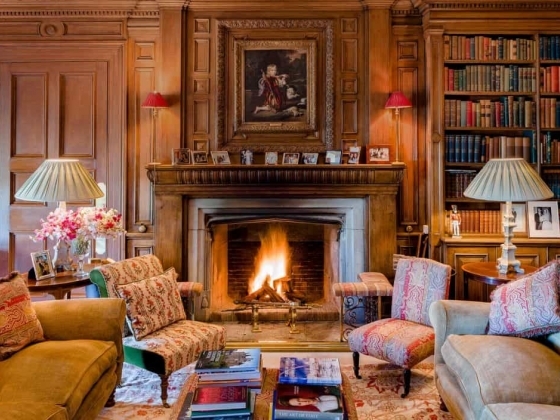 Imagine sharing your first moments together as husband and wife surrounded by your closest friends and family as you warm by the crackling open fires. 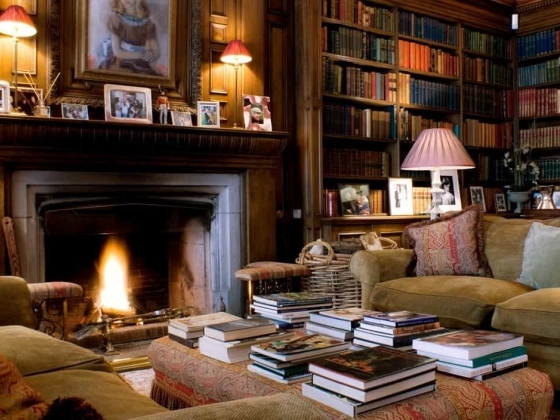 Surrounded by the silk walls of the Library you can enjoy a closing nights Dram of whisky. 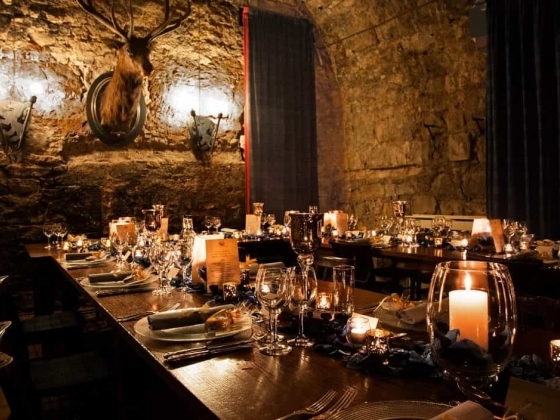 The 15th Century Auld Keep with the original 3 feet thick walls and magnificent vaulted ceiling in the Great Hall is perfect for up to 90 of your guests for your religious or humanist wedding ceremony. If you would prefer a civil ceremony, the elegantly created Georgian Croquet Room with views across the lawns is perfect for up to 80 guests. 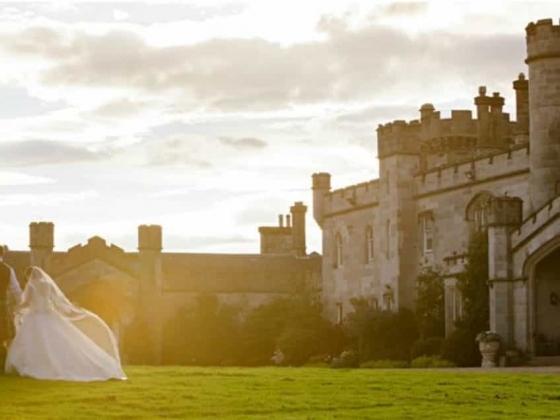 For an open air wedding ceremony that is both romantic and unique, choose from a ceremony on the immaculate lawns with the dramatic backdrop of the castle facade or on a hill overlooking the sun glistened waters of the tranquil Dundas loch. 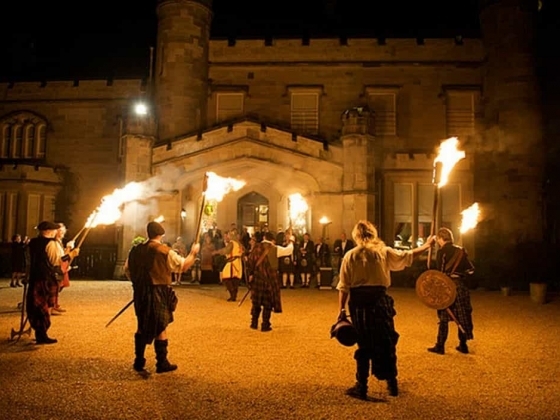 On the rare occasion that the Scottish weather is unkind, you will always have the option of inviting your guests back to the castle where we will have transformed your chosen location into your ceremony room. Following your ceremony, you are able to entertain your guests with a champagne reception in the comfort of the main house. Your wedding breakfast dinner can take place in the Croquet Room for up to 60 guests or in the chandelier-lit Pavilion marquee for up to 180. 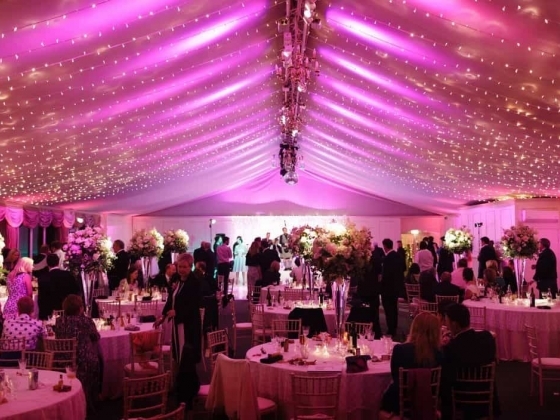 With panoramic views of the estate and floodlit castle, the luxurious Pavilion is perfect for any after dinner dancing or entertainment. 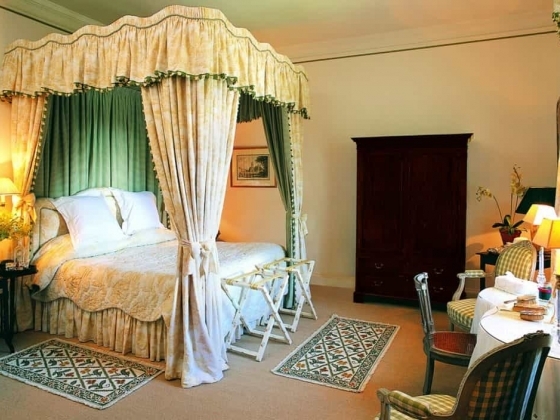 Our fourteen bedrooms, each with their own bathrooms, are decorated in a timelessly elegant style featuring antique furniture, original paintings and beautiful fabrics. 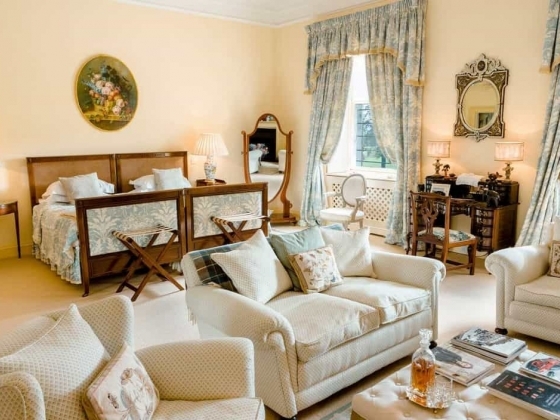 Rooms are located throughout the house and offer a variety of views, from the charming courtyard to the immaculate lawns of the estate. There are numerous outdoor activity areas available on the 1,000-acre estate. This includes a nine-hole golf course, a 4X4 course and clay pigeon shooting.